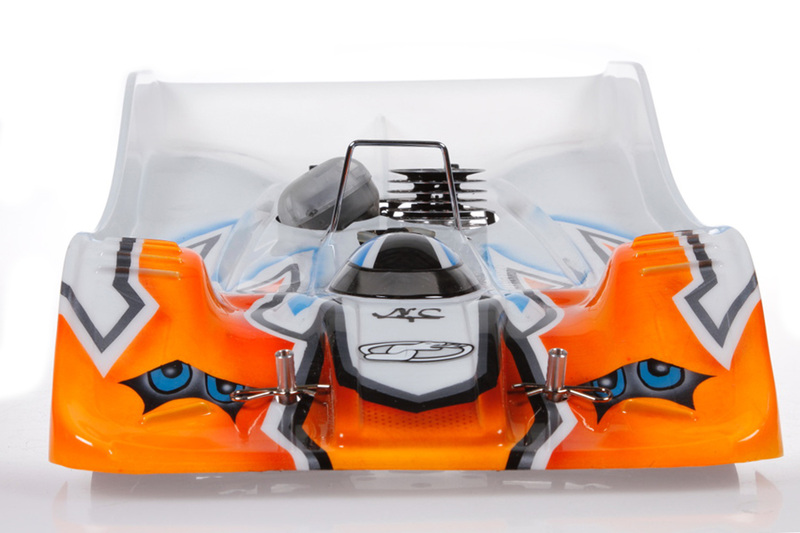 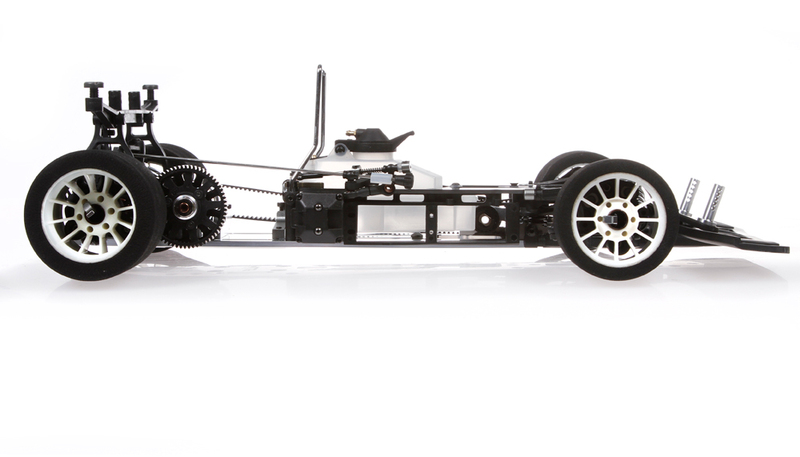 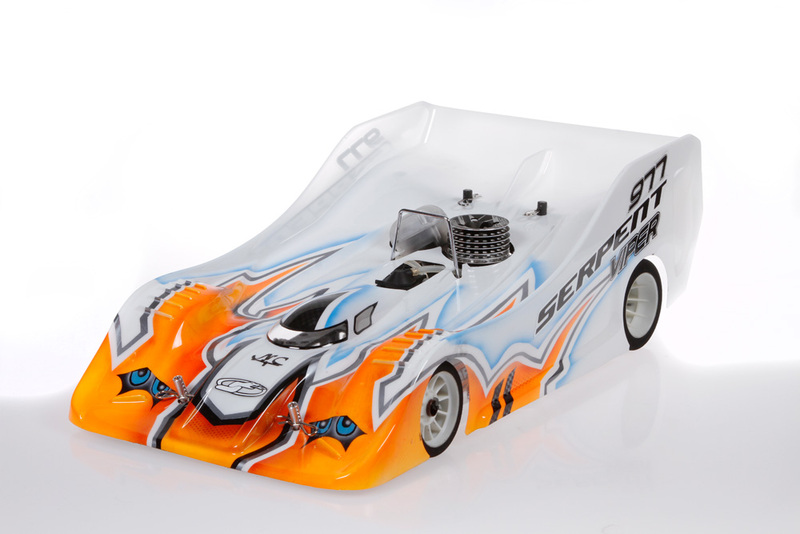 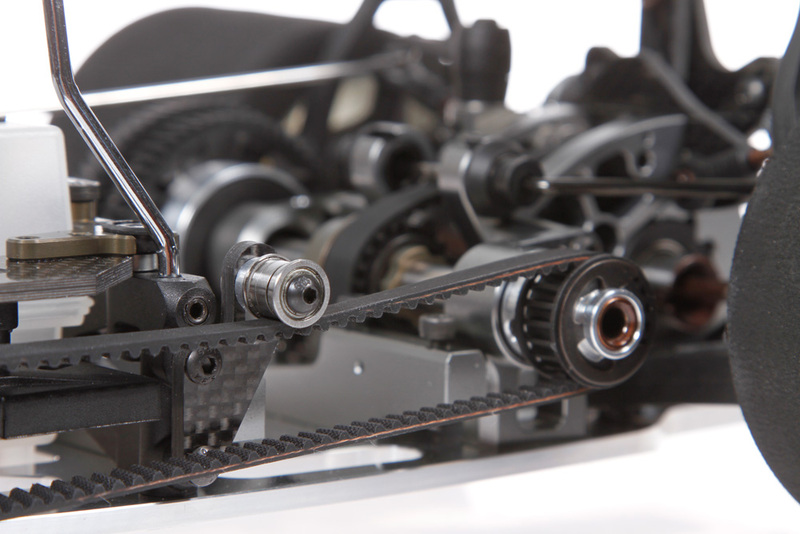 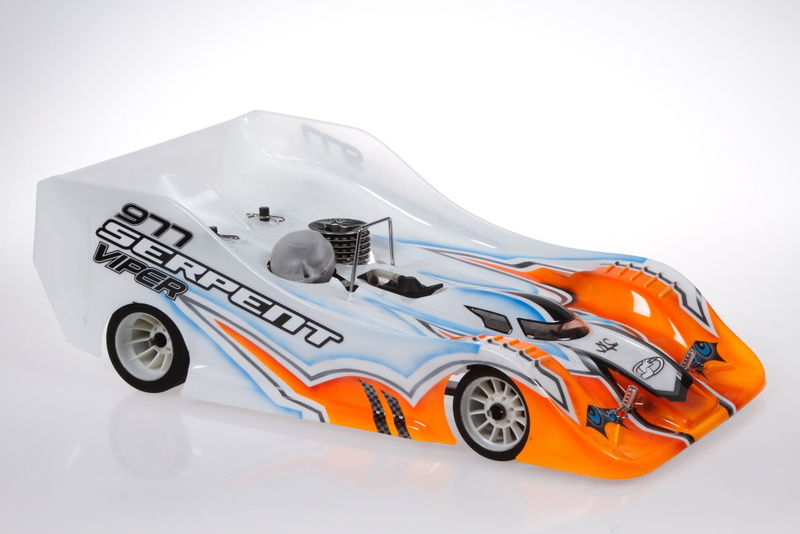 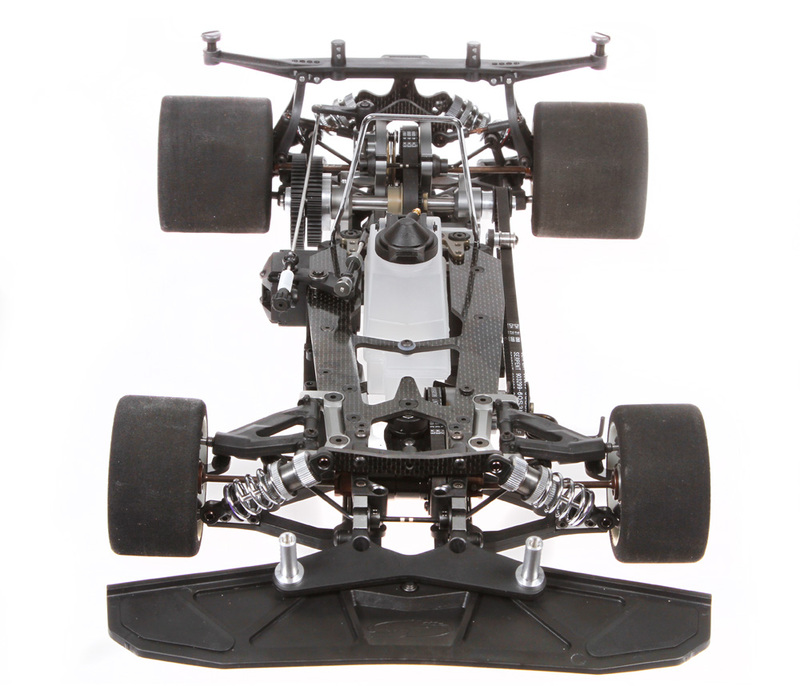 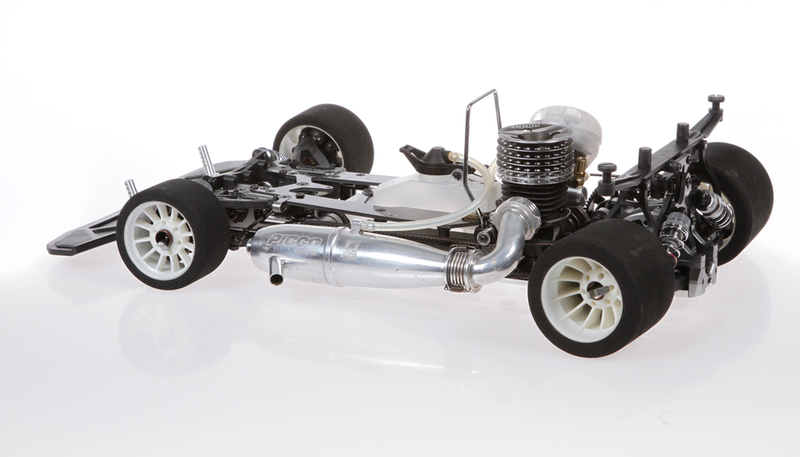 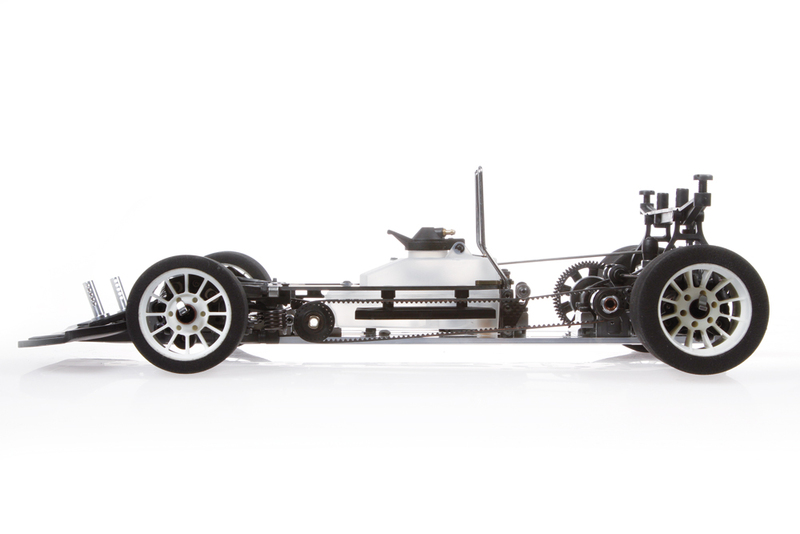 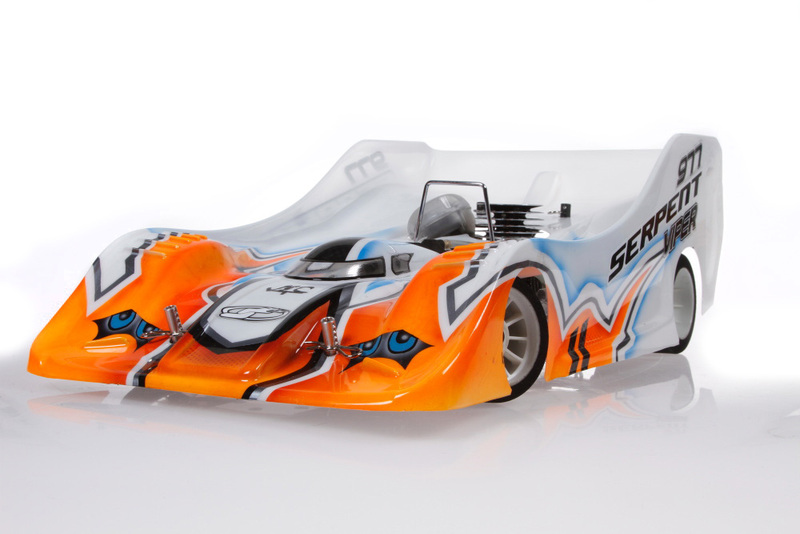 Serpent has been developing 1/8 scale onroad rc cars since 1977, officially as company since roughly 1980. 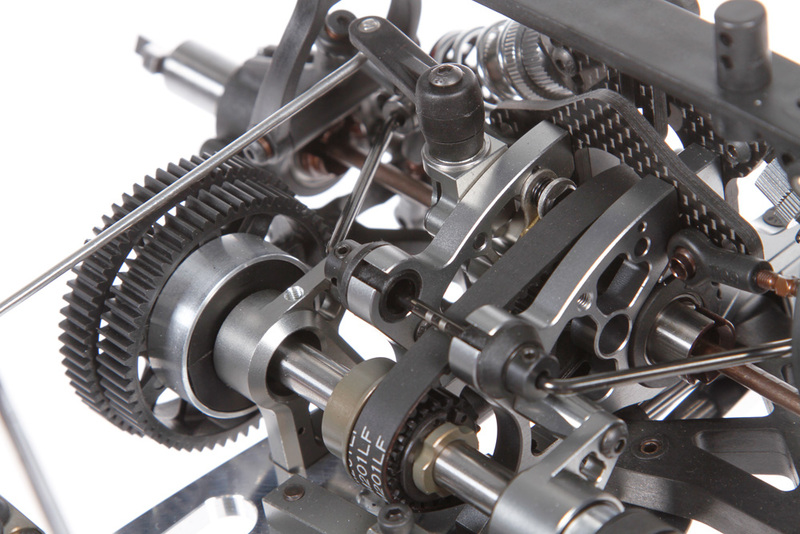 That is over 35 years of race and development experience combined ! 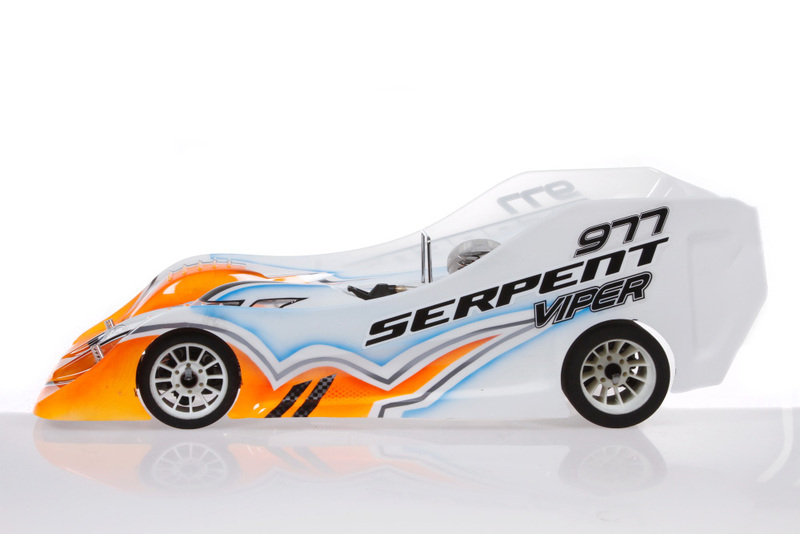 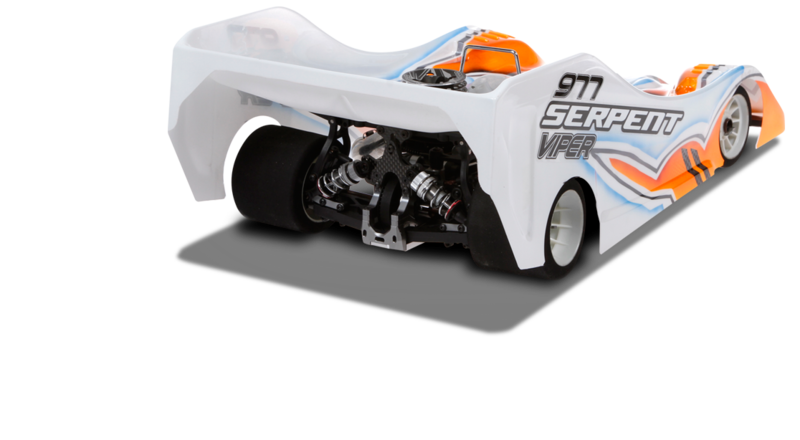 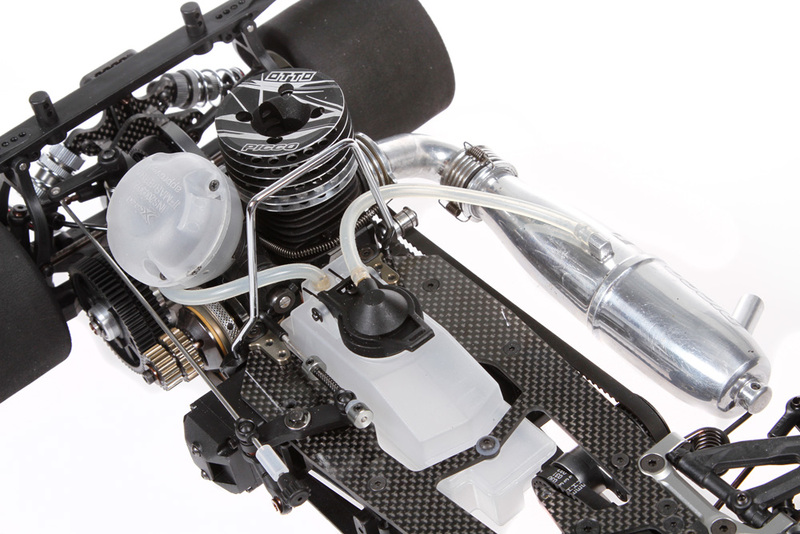 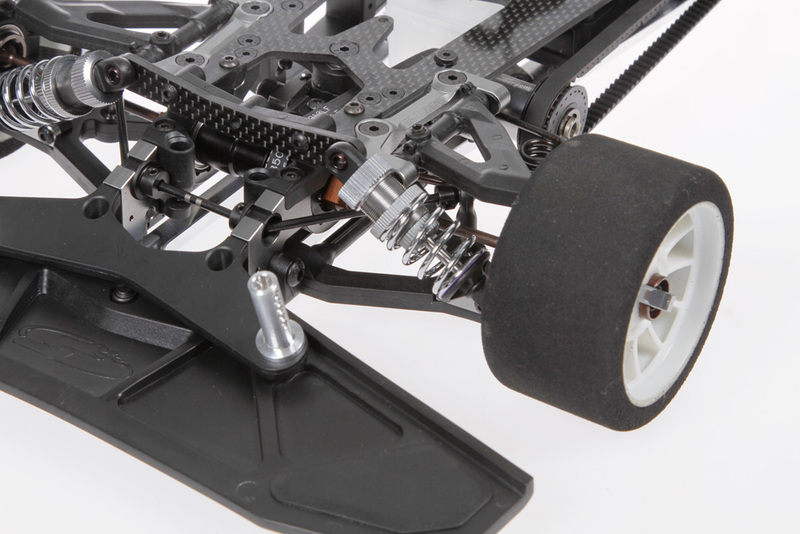 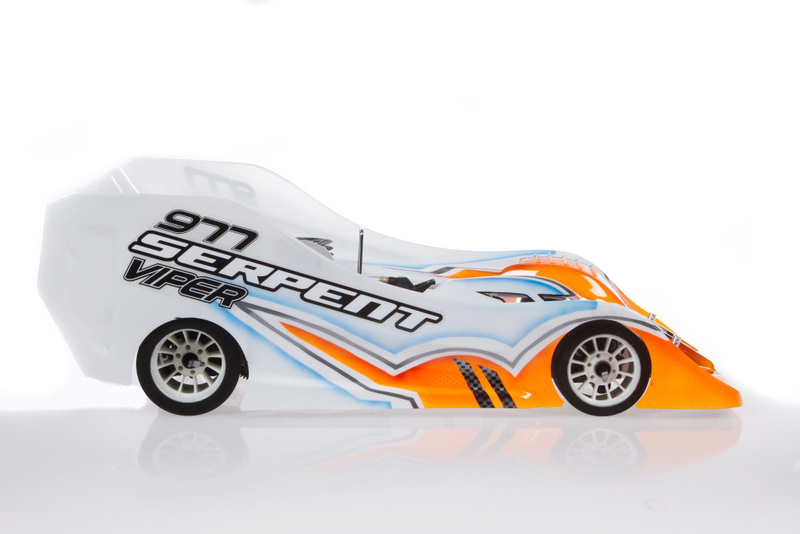 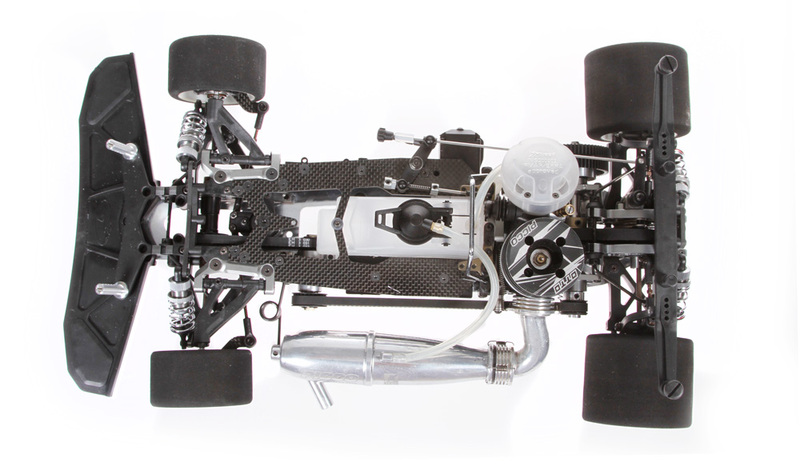 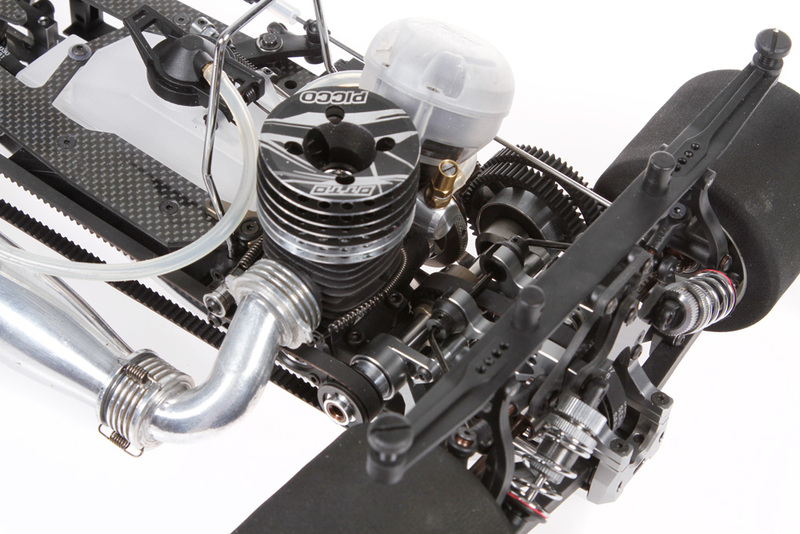 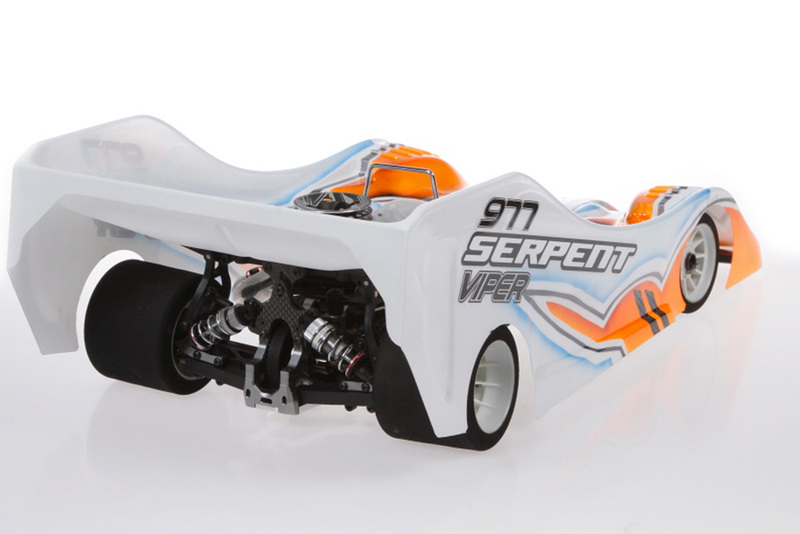 The Serpent Viper-EVO-2 is the next step in the continiuous development of this very demanding 1/8 scale racing class, the pinnacle of rc car racing. 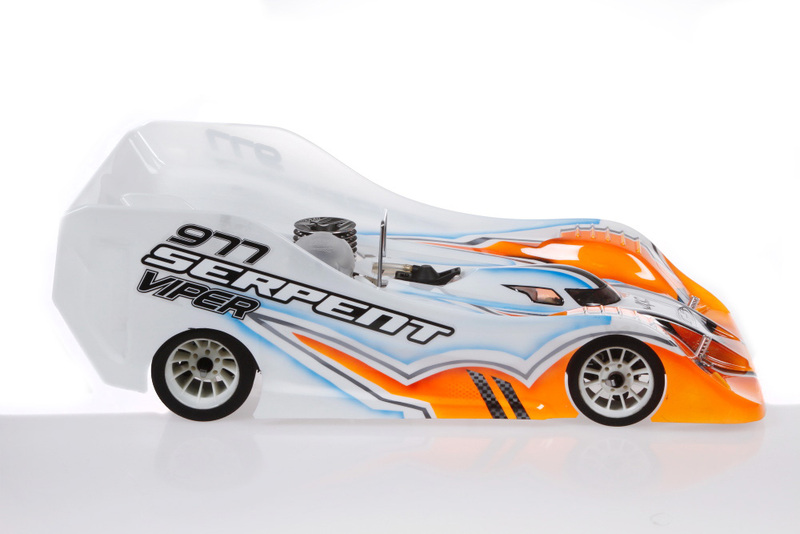 The Viper 977-EVO-2 is all about refinement, to make a superb car even better. 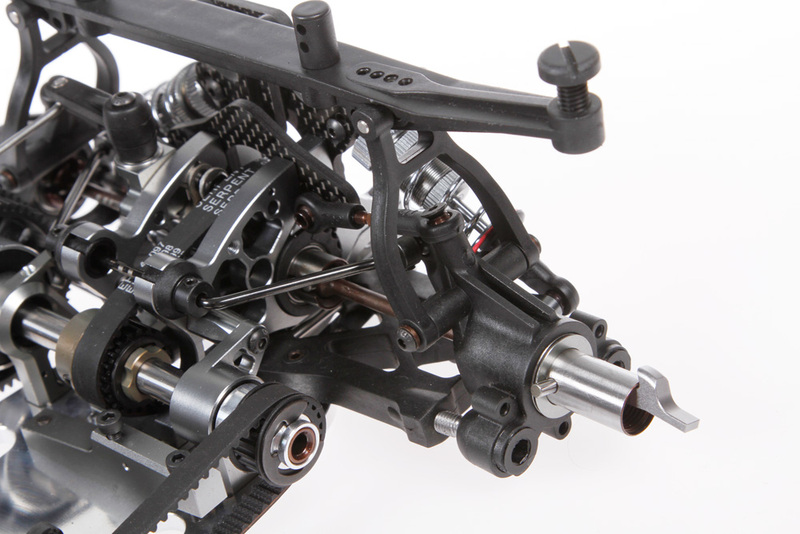 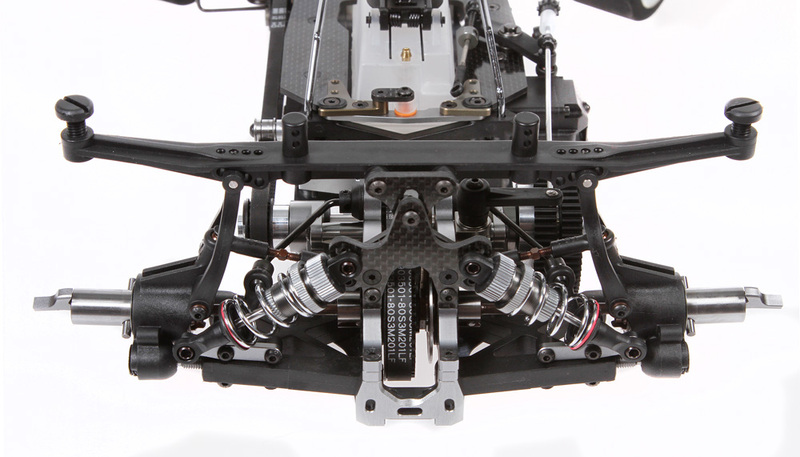 The new rear end set moves the lower inner rear pivot pins closer together. 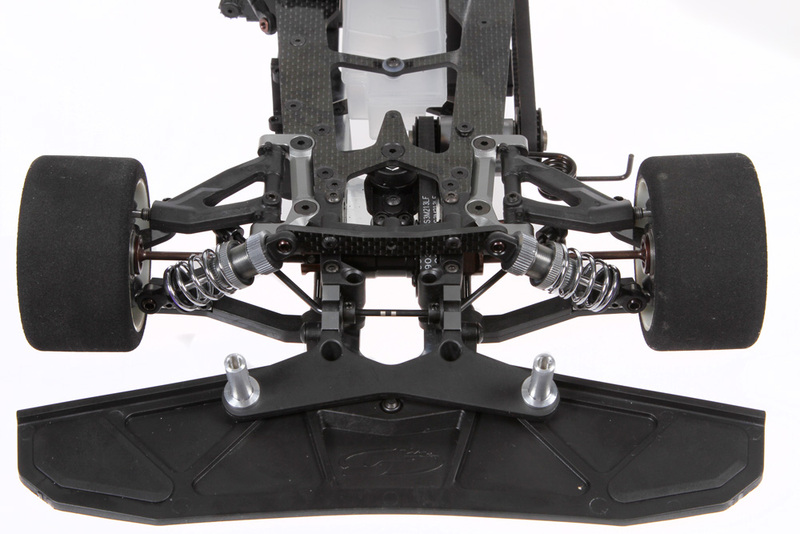 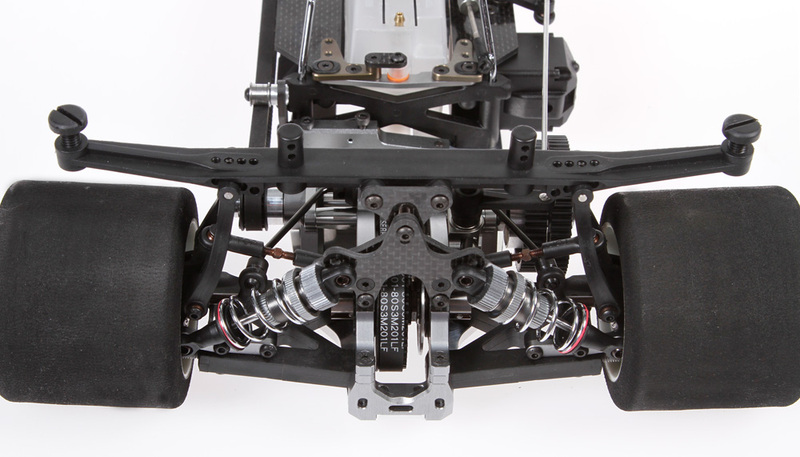 With the application of longer pivotballs the lower suspension arms are made longer. 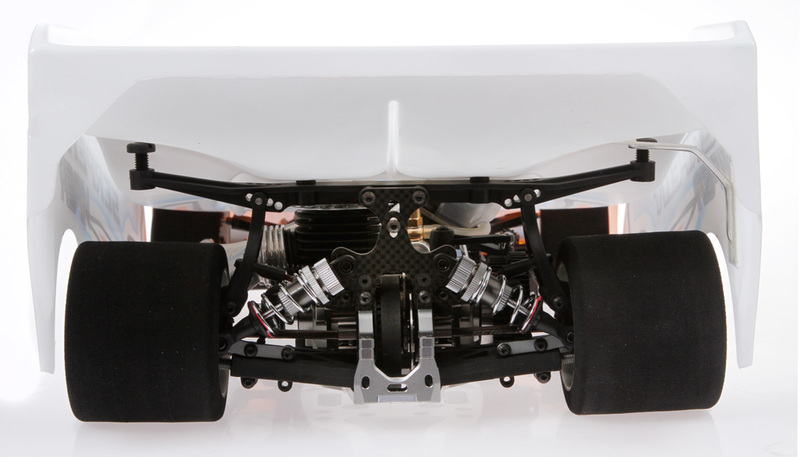 This package creates more traction overall, so higher corner speeds are possible, and a more stabile rear end under braking. 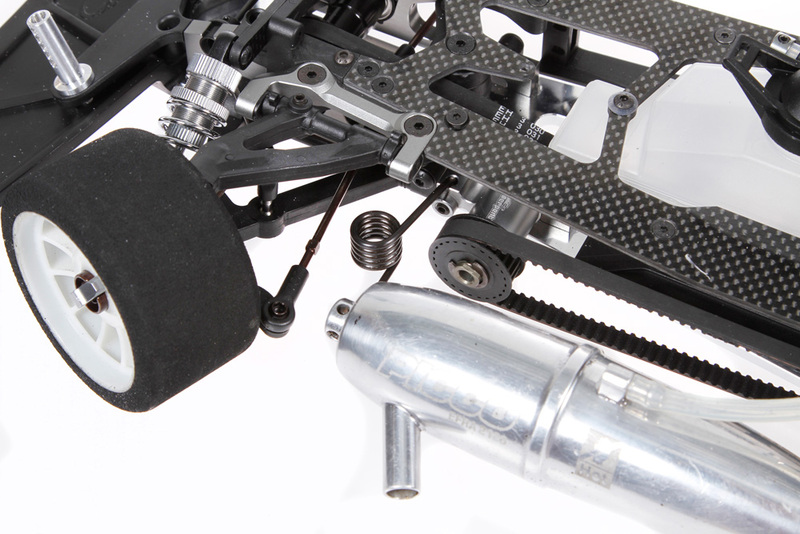 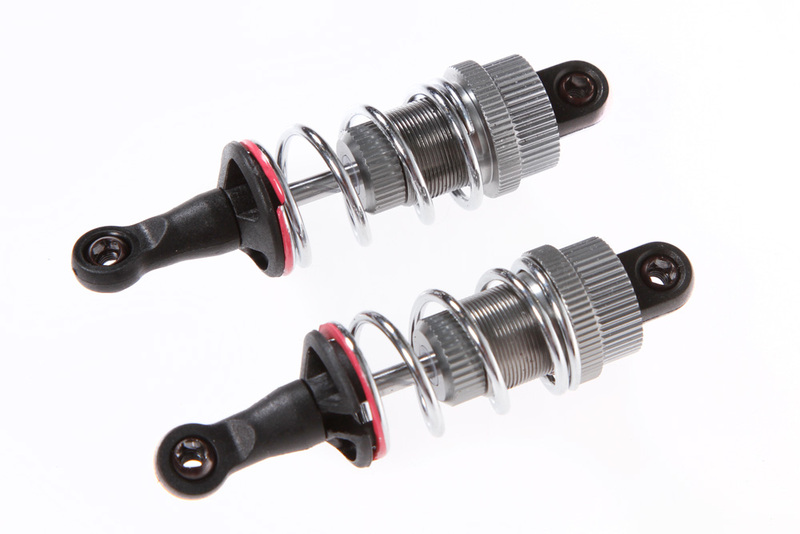 New bigbore shocks as also in use on the 411 4.0 TC car and the new 748-WC car. 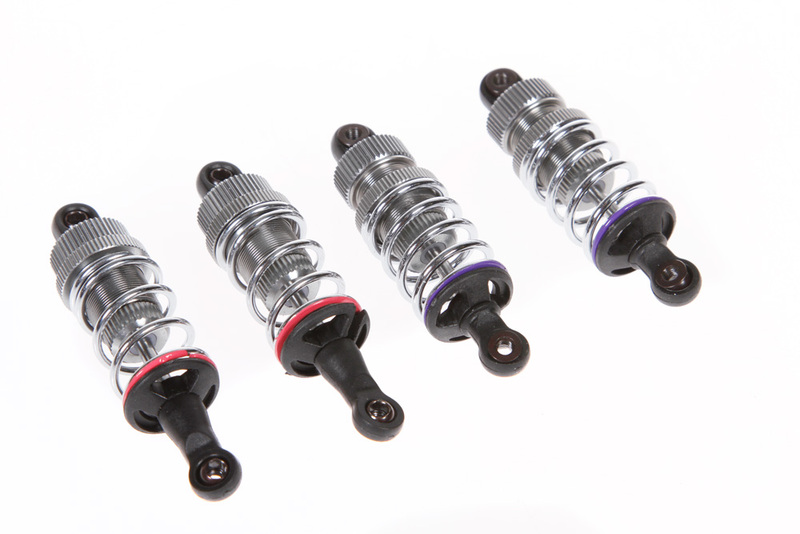 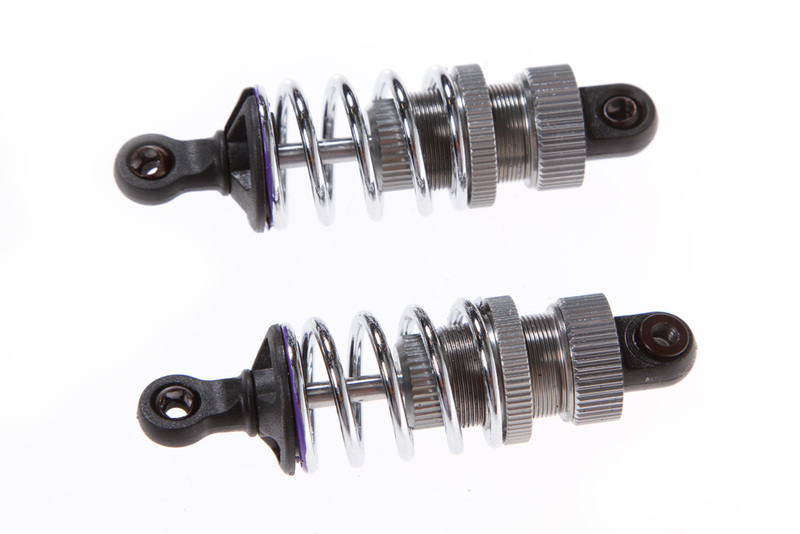 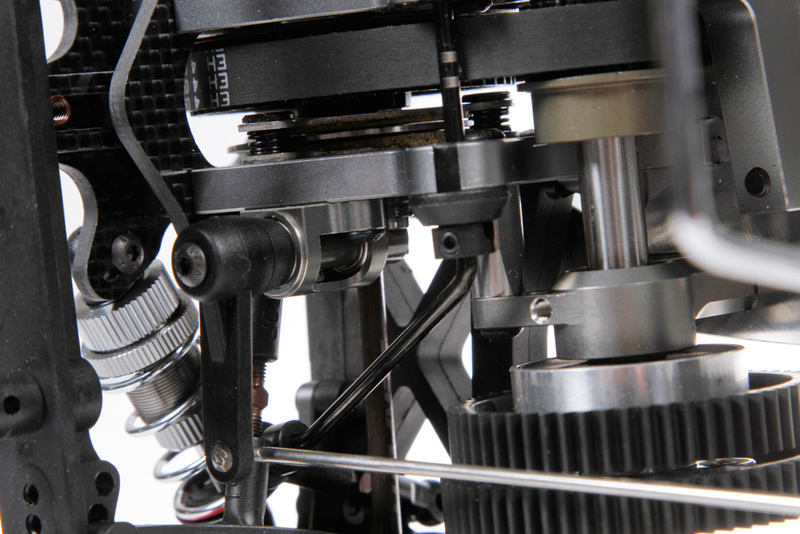 The short shocks feature machined pistons, a new seal package combined with machined spacers and coated aluminum parts and hardened steel shock shafts. 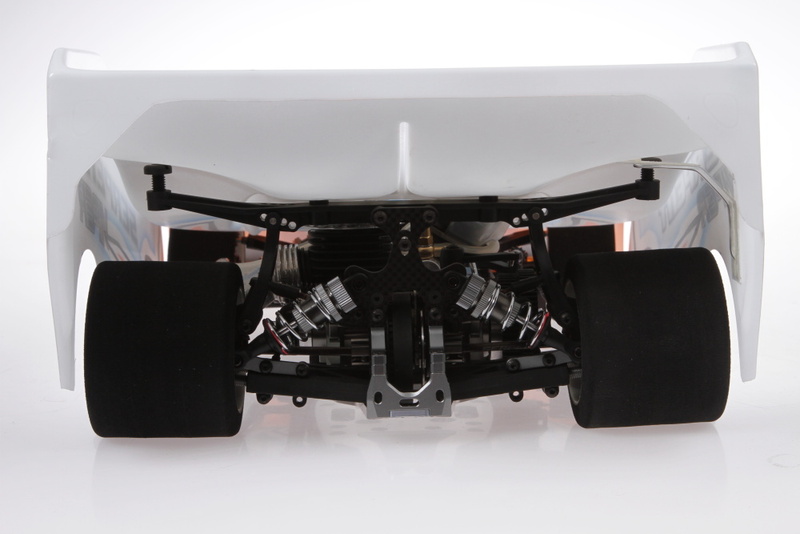 Rear ones have longer shafts. 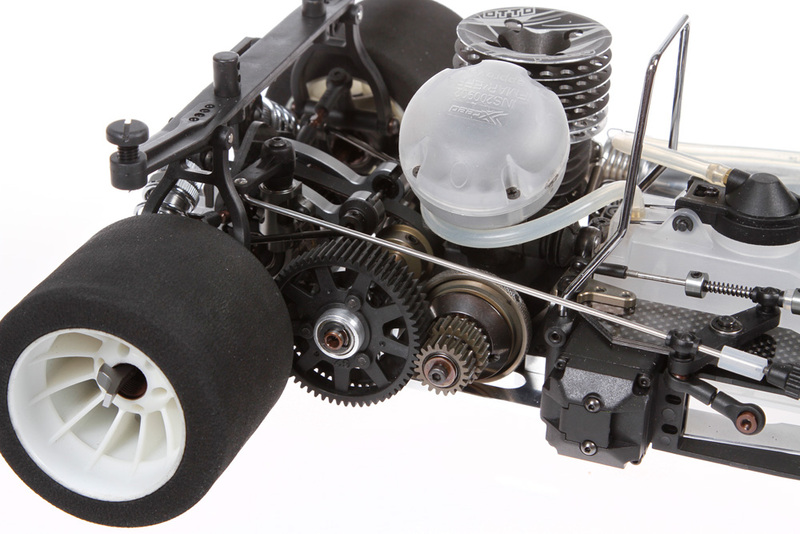 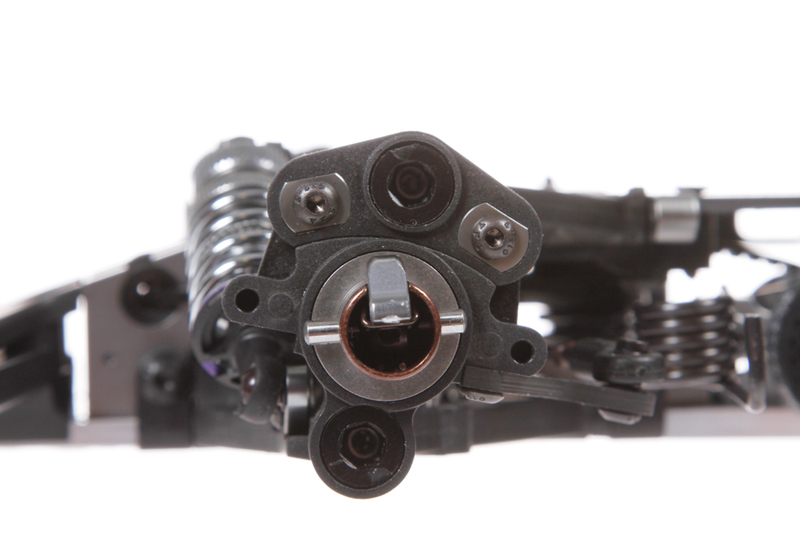 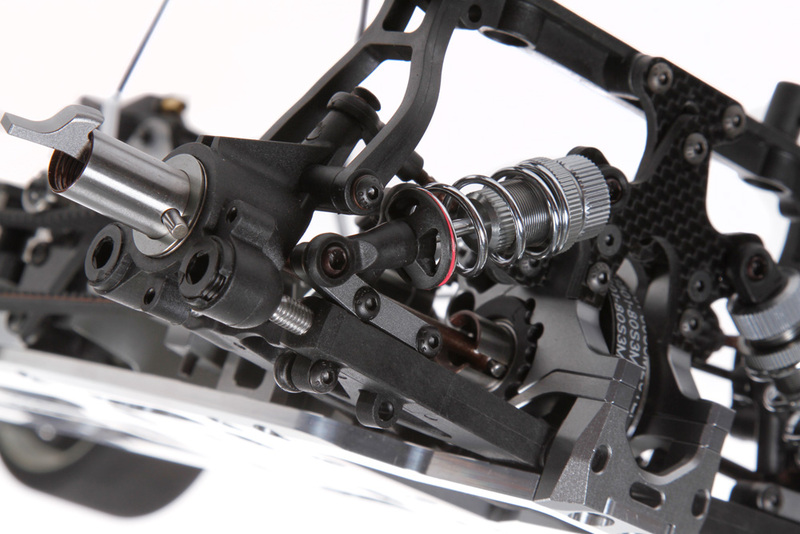 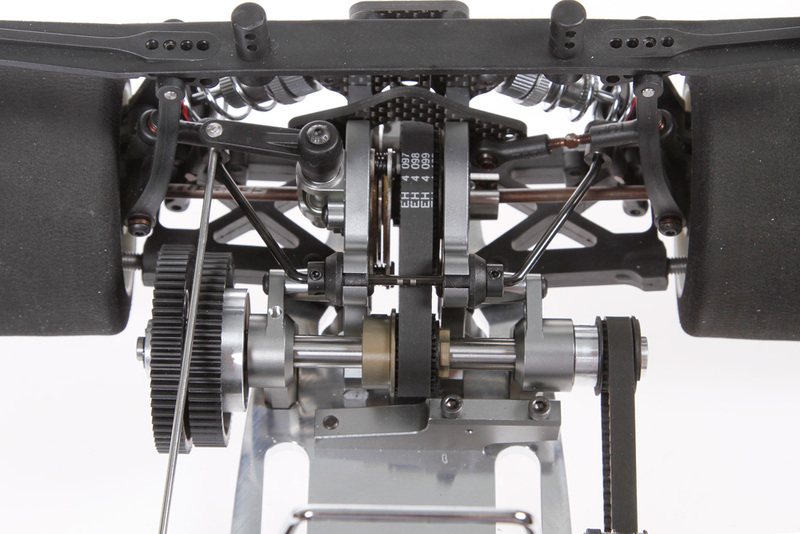 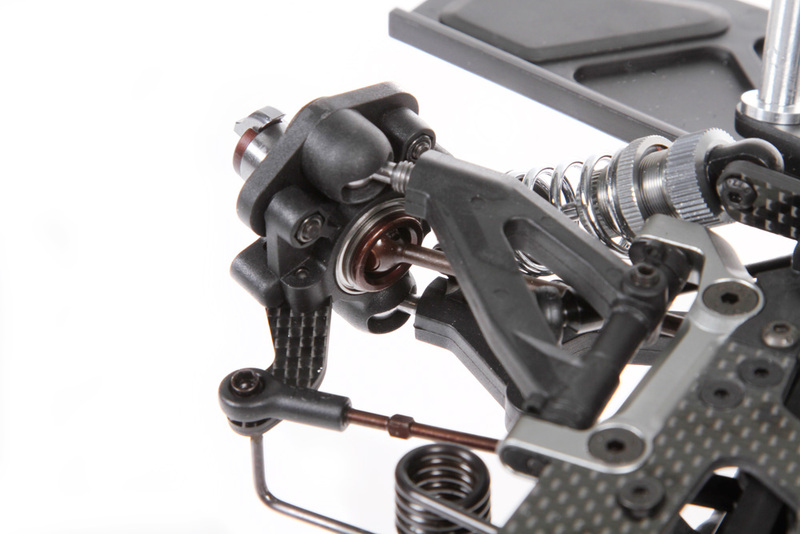 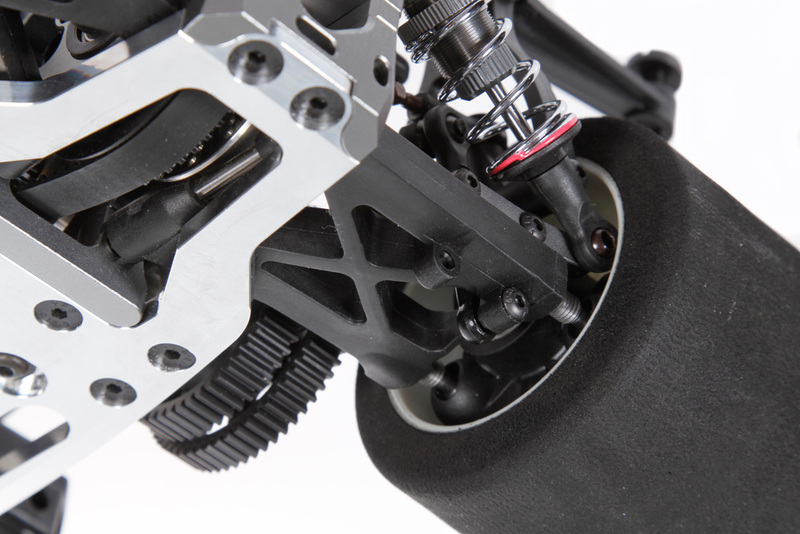 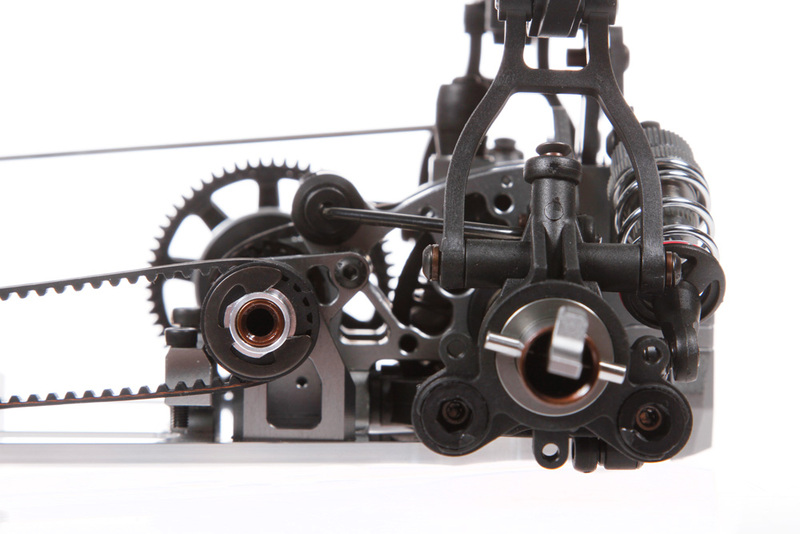 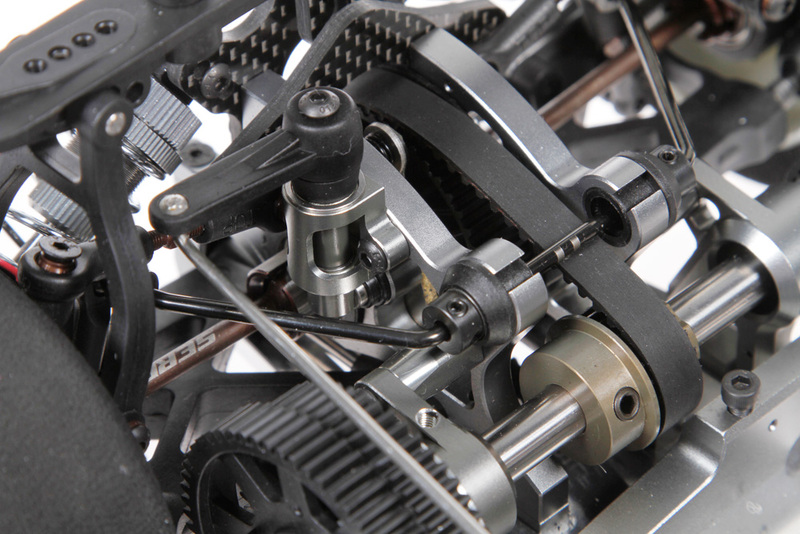 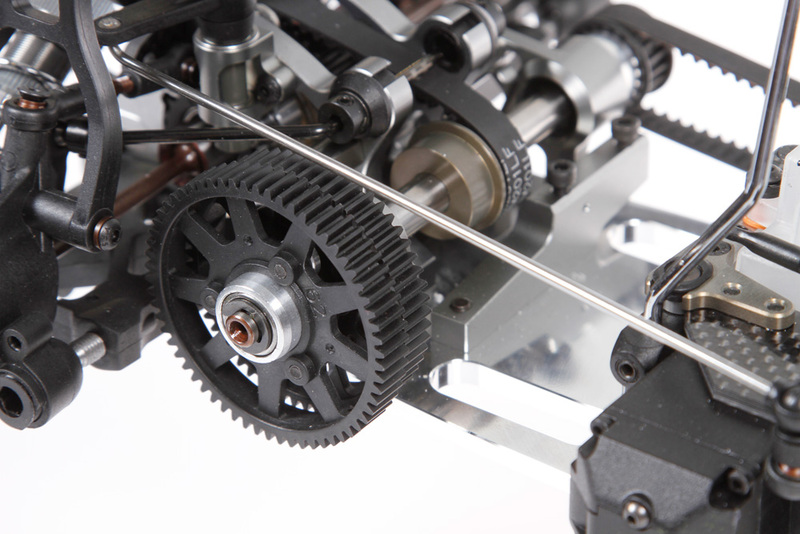 2-speed gearbox SL8 XLi with superlow inertia All the parts of the gearbox have been made smaller and as light as possible, to lower inertia even further, still keeping durability on top of the list. 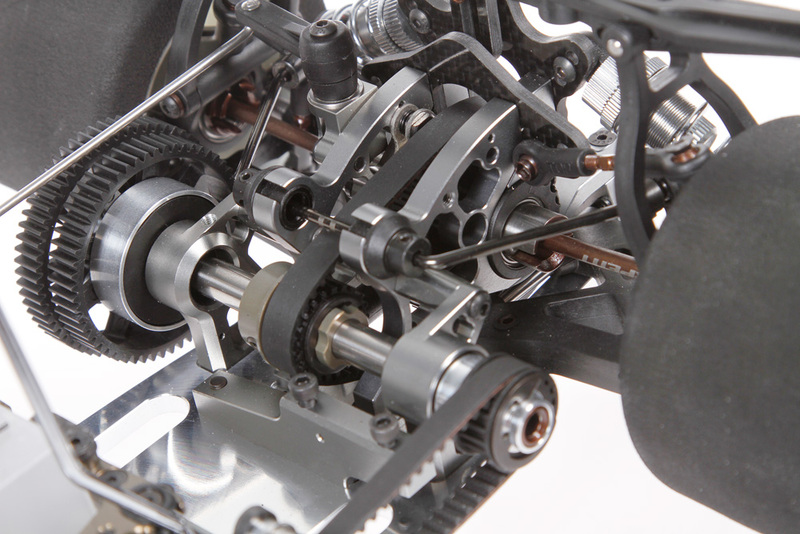 The gears changed to a 0.8 pitch which is smoother than the original one and also quieter. 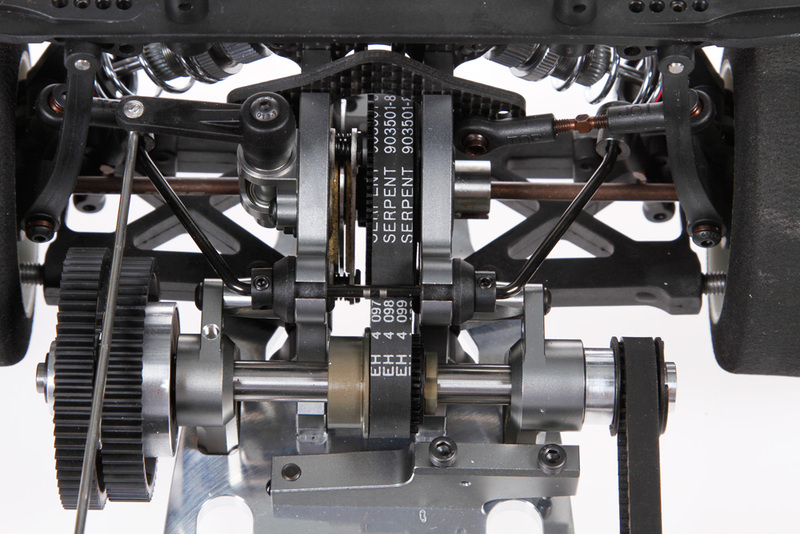 The Serpent gearbox system was our innovation in the late 80-ties and the system hardly changed, only optimised, and now as system in use with all other brands. 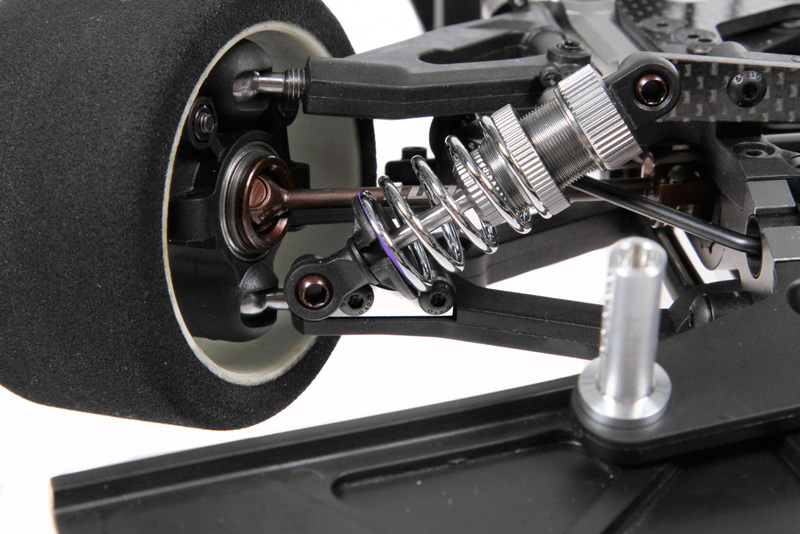 Centax hardcoated alu clutch gears with 0.8 pitch To go with the 0.8 pitch gears, the Centax gearpinions also needed to go to the 0.8 pitch. 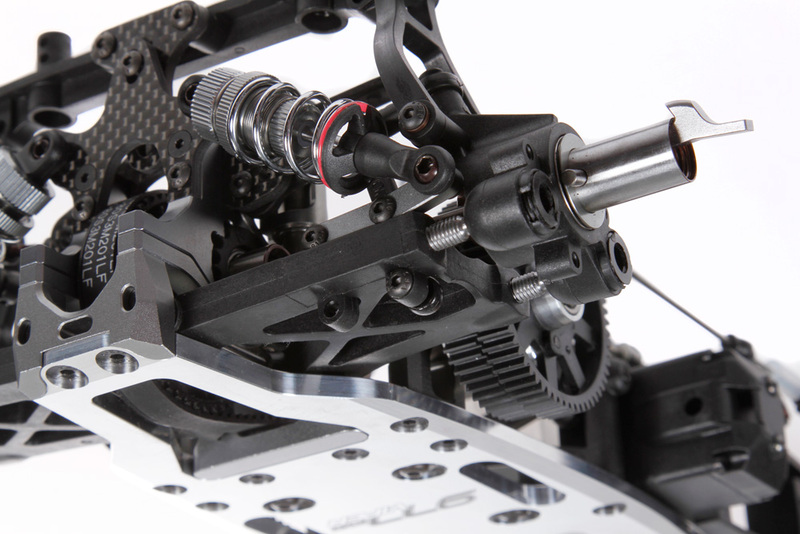 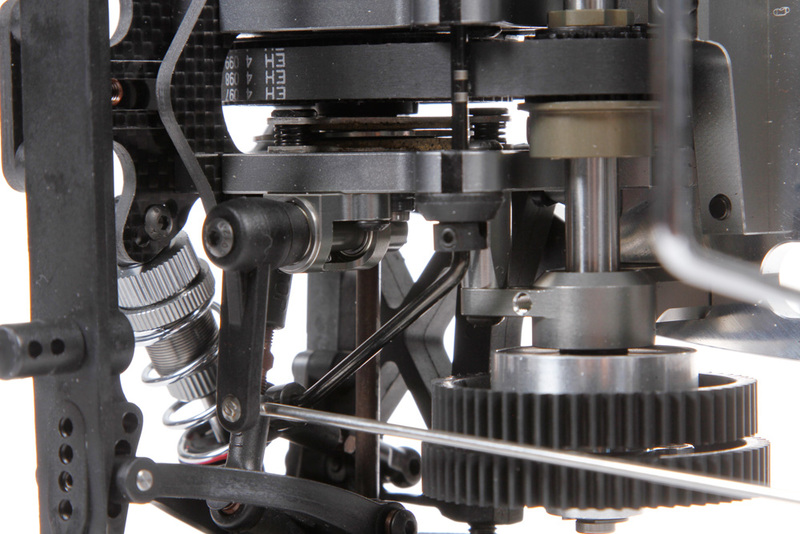 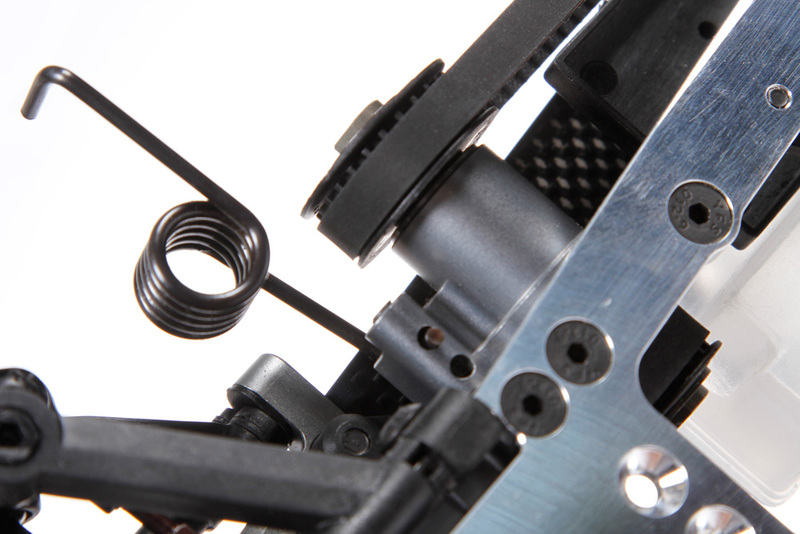 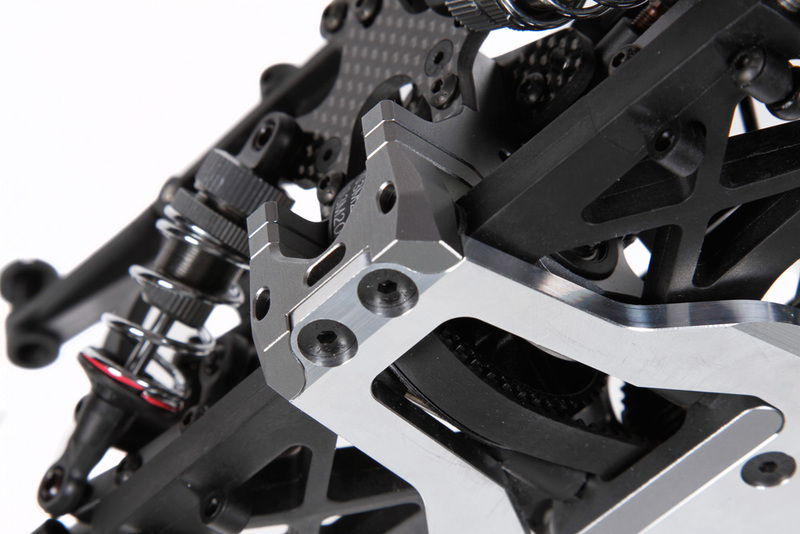 The precision machined and hardcoated gears are durable and smooth. 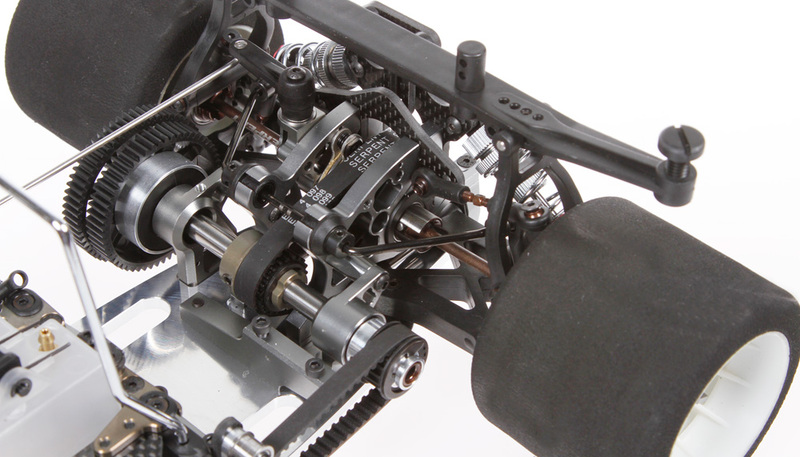 The Centax clutch is a Serpent innovation from the early nineties, and is in use by almost all brands now. 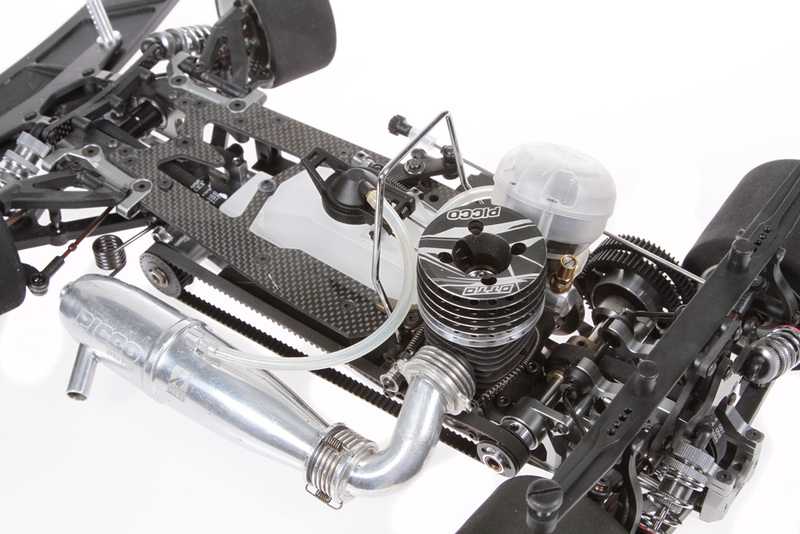 with optimised flex and weights slide The chassisplate is a very important part as central unit in the car. 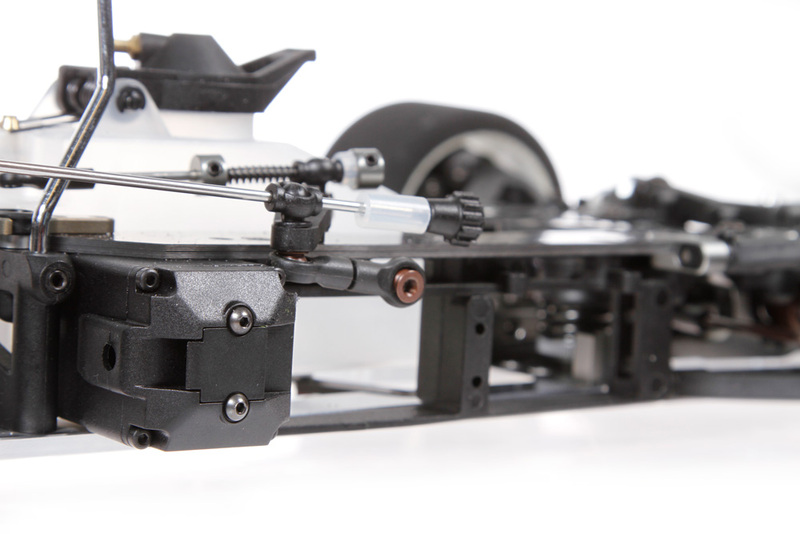 The flex-characteristic is a major point, as well as weight balance with the sliders we apply and the dissipation of heat from the engine. 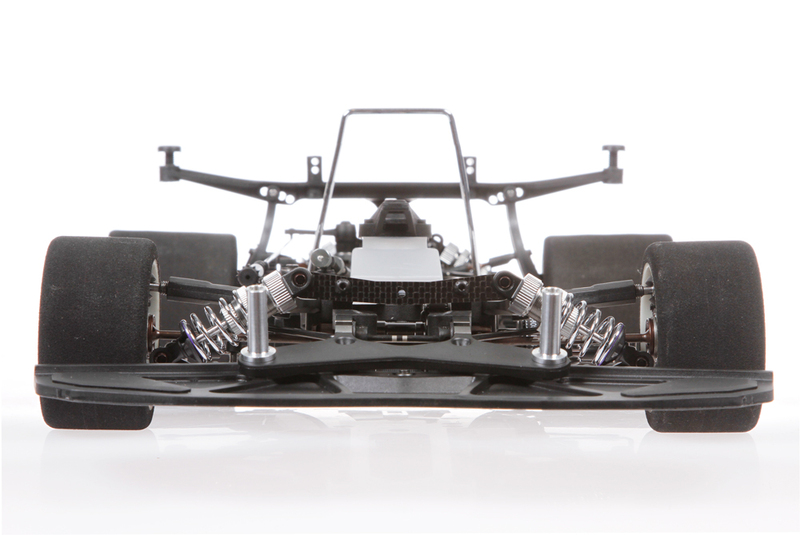 The chassis is narrower in the front to allow a slightly different geometry. 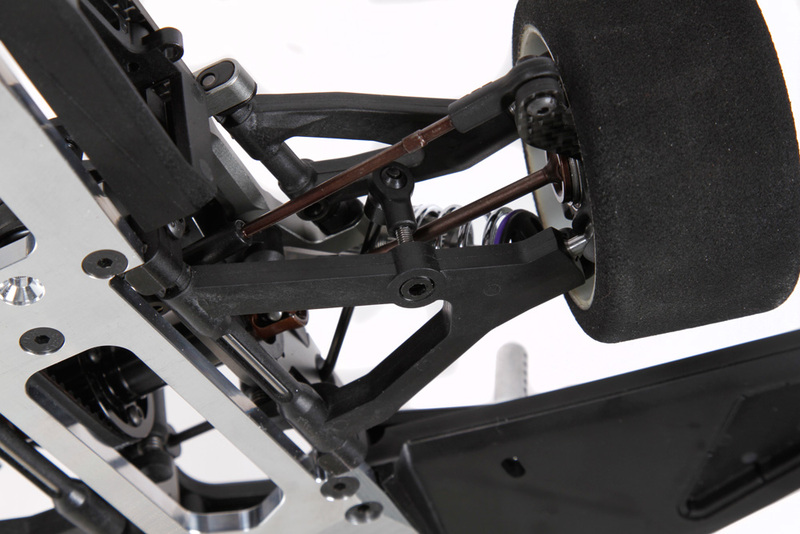 Machining of the chassis allows flex in a different area as before. 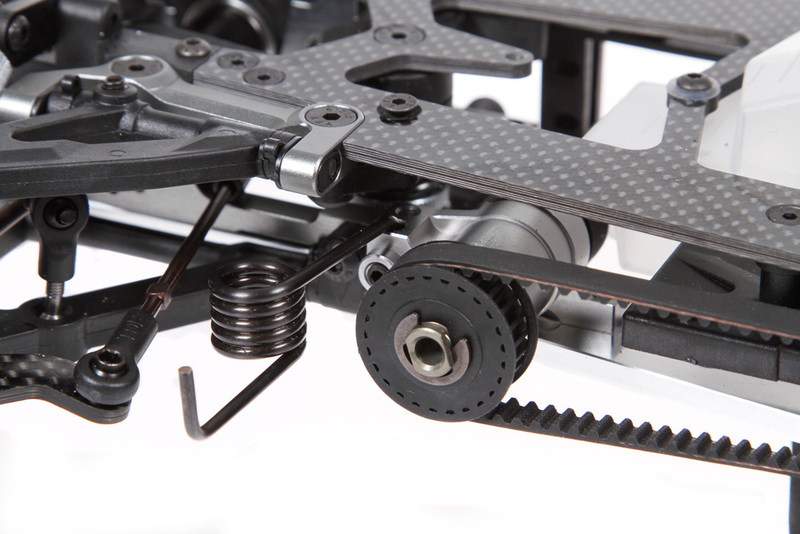 Vibration of the weight slide part is dampened by using the carbon brace. 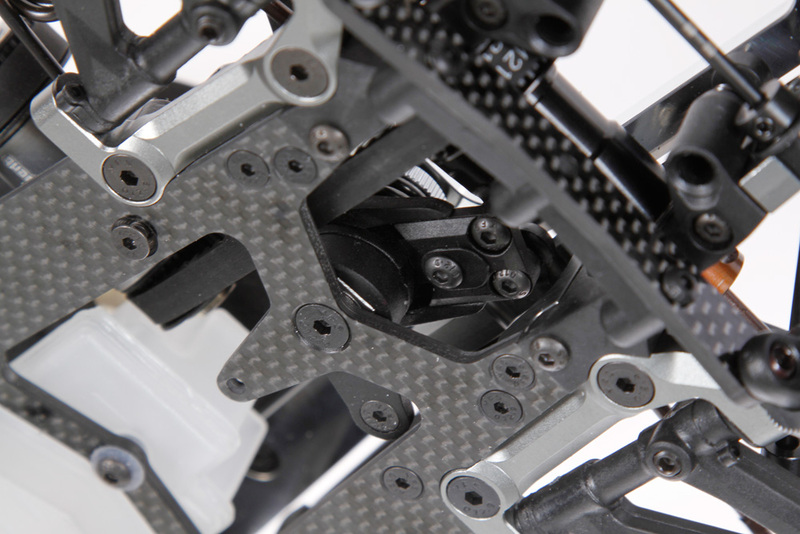 Carbon fibre 2.5mm radioplate with aluminium mid-flex system. 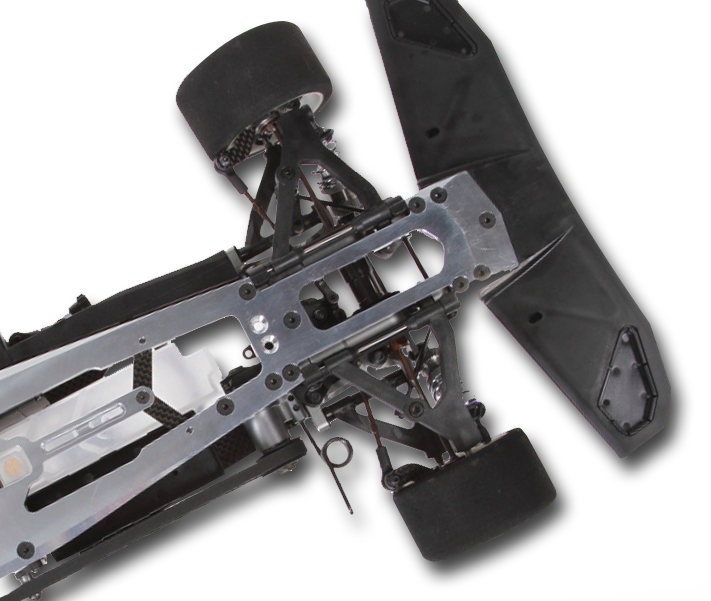 The stiff carbon fibre radioplate is one piece again with the flex system moving to the center of the car, just behind the tank. 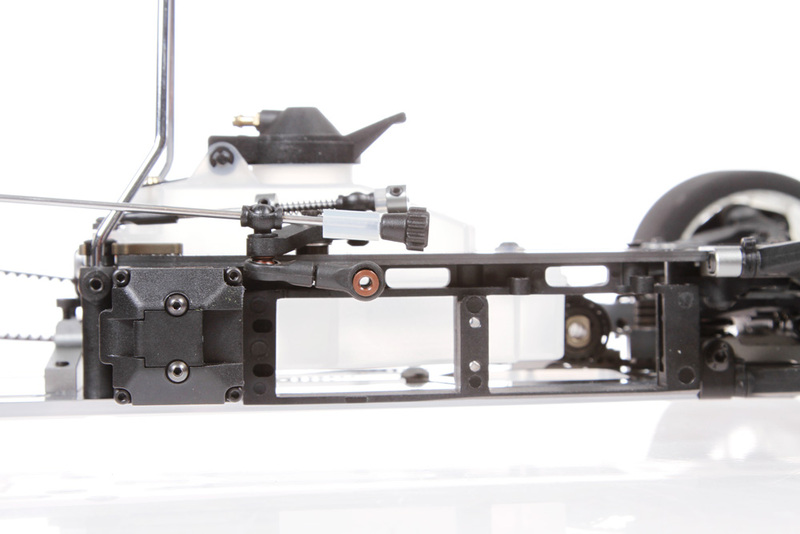 In this way the flex is better distributed, resulting in a better handling of the car. 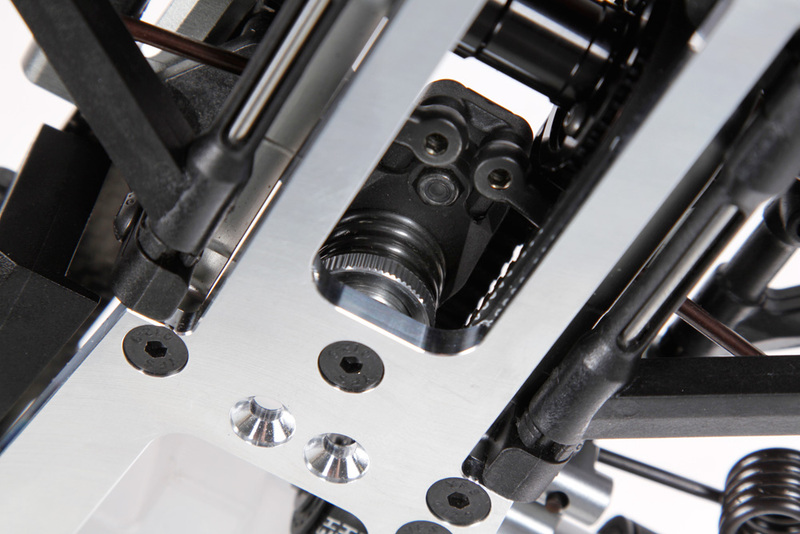 System with bearings The system consist of a lower and upper anodised aluminium section, connected with screws for zero flex, or with bearings inside for some controlled flex. 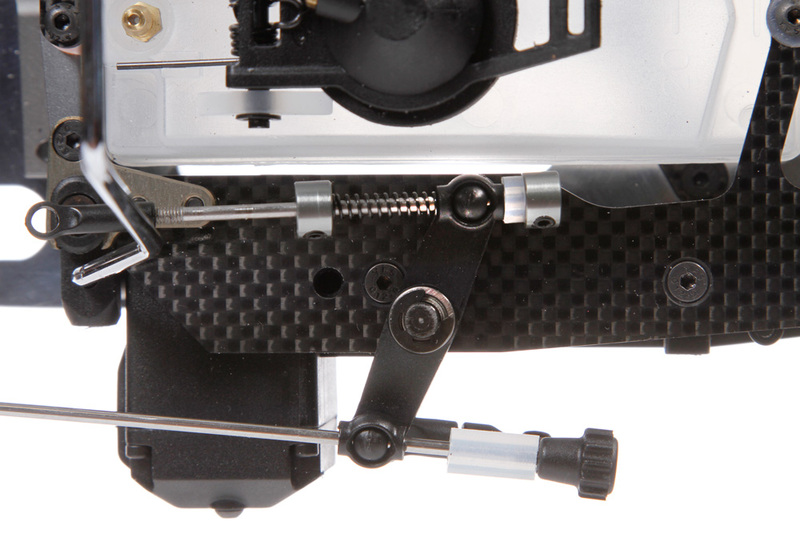 It needs removal of only 2 screws to go from fixed to controlled flex. 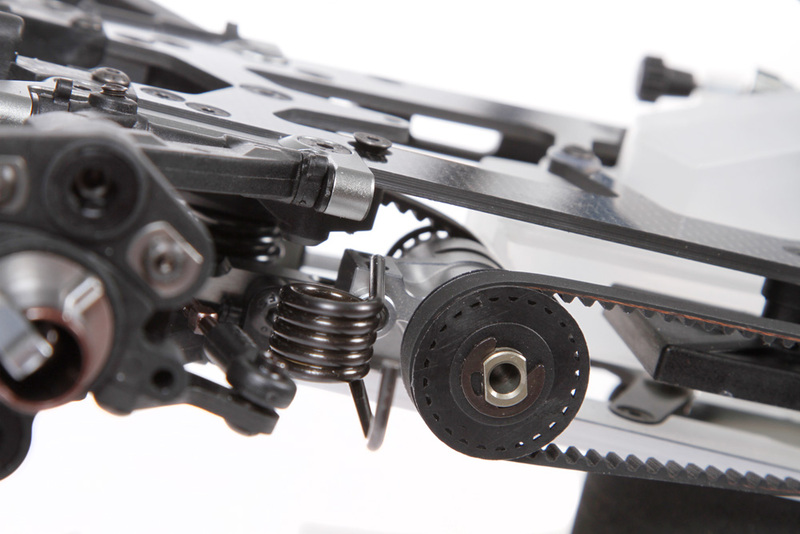 The newly developed front aero type bumper is a very durable unit, which as extra feature offers removable inserts. 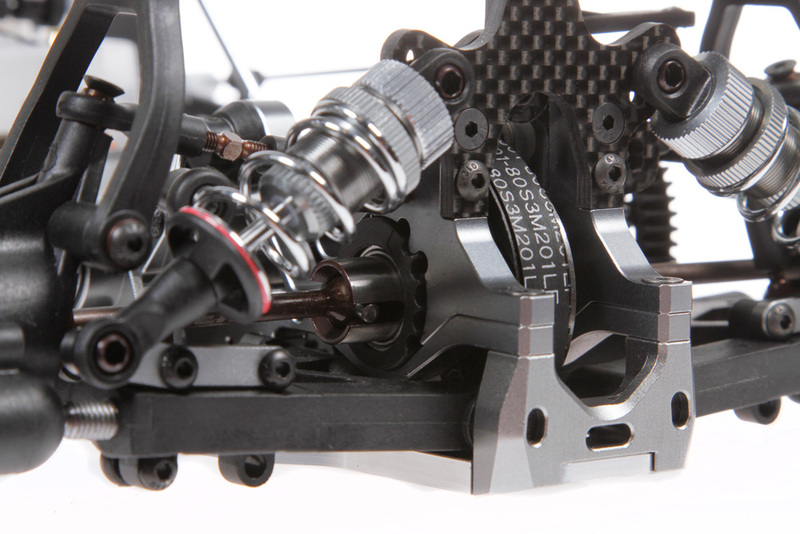 Its very easy and quick to change aerodynamic characteristic in a matter of seconds. 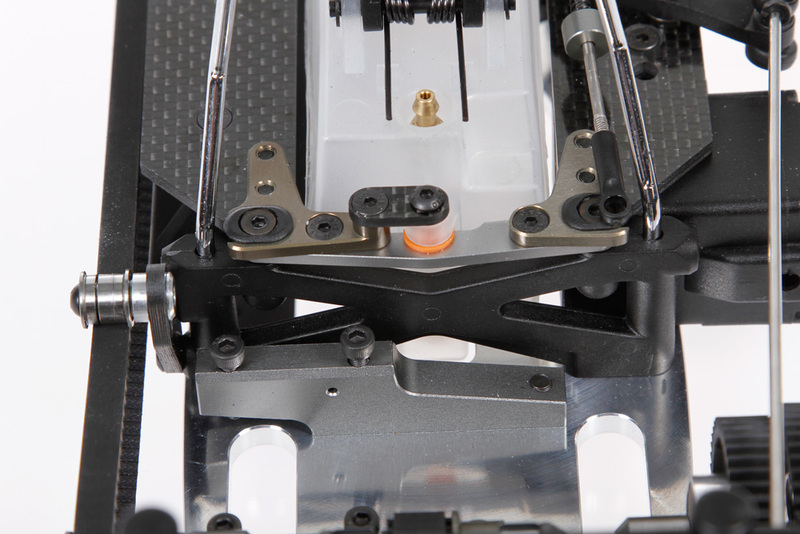 By just removing or adding the inserts.